Here’s lookin’at you, kid! 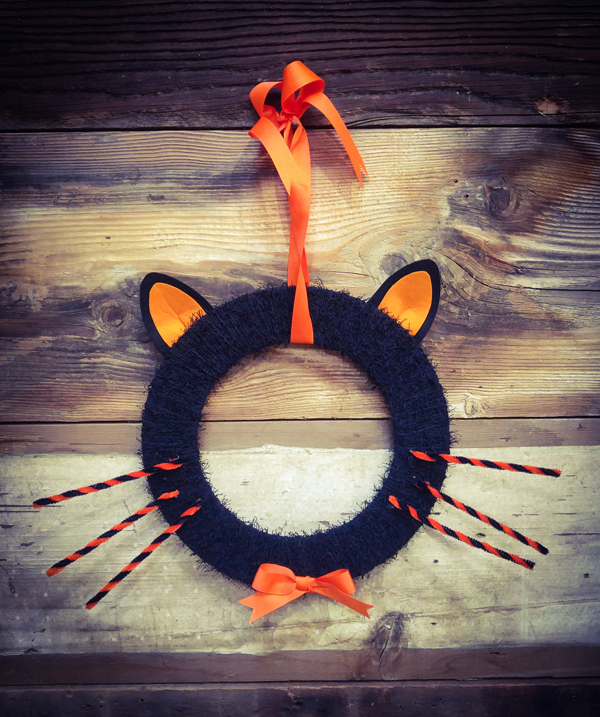 Create a fuzzy monster wreath that’s more silly than scary, to greet trick-or-treaters at your Halloween door. 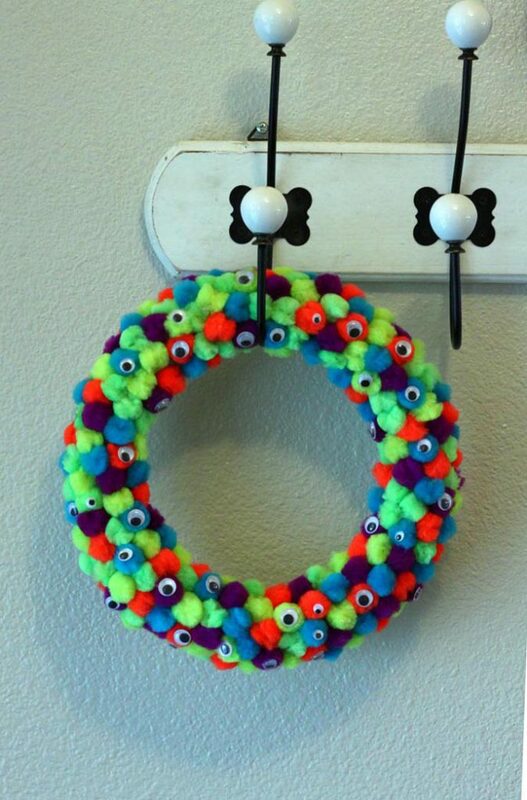 This entry was posted in Crafts, Family Crafts, Halloween, Wreaths and tagged DIY Halloween, Googly Eyes, monsters, Pom Poms on October 10, 2018 by Michelle. 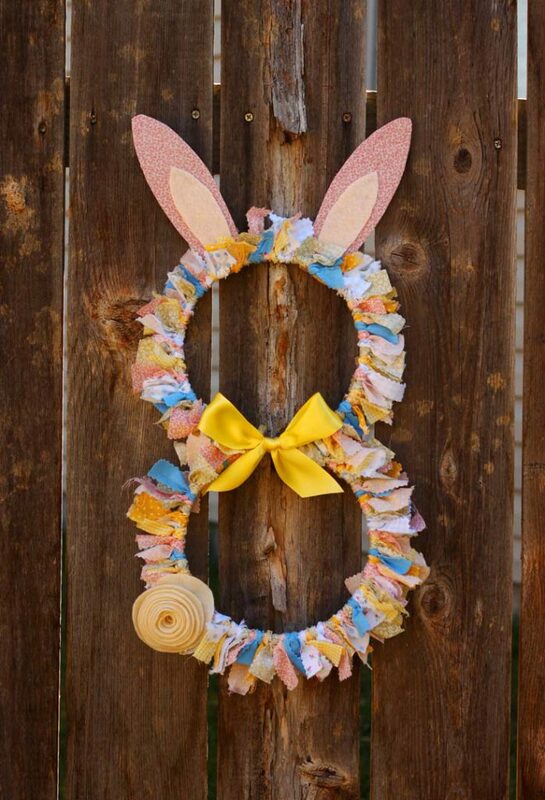 Rabbit Wreath – an easy Spring project! 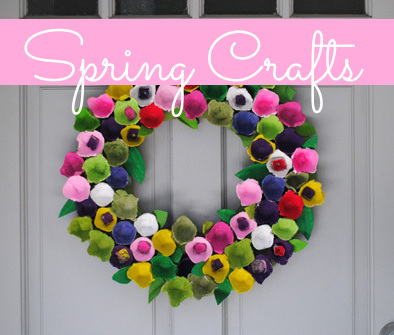 Create a sweet Spring wreath with this easy project. 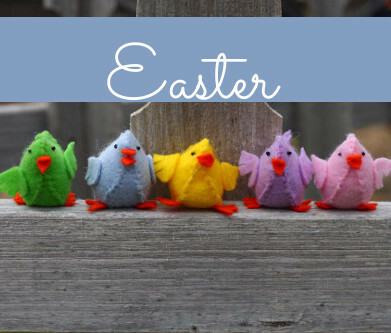 This entry was posted in Easter, Holidays & Seasons, Home Decor, Spring, Wreaths and tagged Bunny, Easter Crafts, Fabric Scraps, Rabbit, Spring Crafts, wreath on March 14, 2018 by Michelle. You might not be able to tell from the weather (it keeps snowing, in our part of Oregon, that is rare, especially this late) but, Spring is right around the corner and I cannot wait. I wanted to make a fun, colorful wreath to bring in the season. 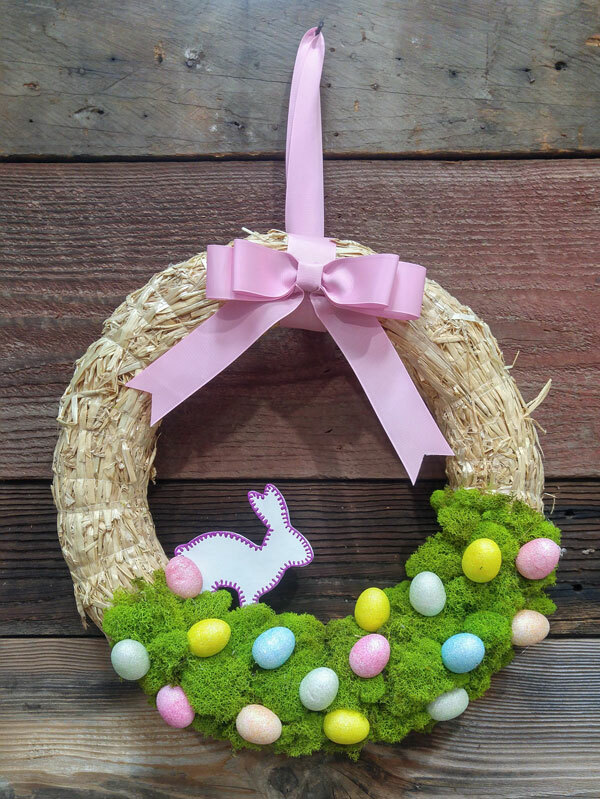 This entry was posted in Crafts, Easter, Holidays & Seasons, Home Decor, Wreaths and tagged DIY Wreath, Easter, Easter DIY, Easter Eggs, Paper Mache, Straw Wreath, wreath, Wreath Making on March 7, 2018 by Kimberly. Time to prepare for Spring and Easter with this charming wreath made of curled cardstock strips. 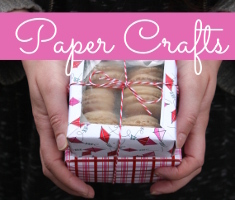 This versatile technique works year around – and is a great way to use up leftover cardstock. This entry was posted in Crafts, Easter, Spring, Wreaths and tagged 3d paint, button embellismhment, Cardstock, Chipboard, curling paper strips, Easter DIY, grommet, paper cutter, Spring, wonder clips, wood letters on February 19, 2018 by Ann. 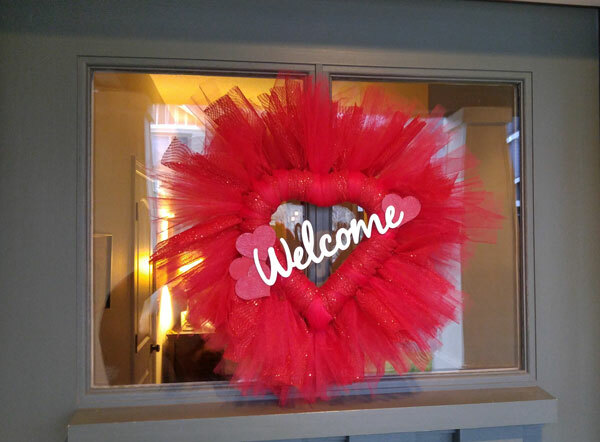 This entry was posted in Crafts, Holidays & Seasons, Home Decor, Valentine's Day, Wreaths and tagged Chipboard, Hearts, Tulle, Valentine's Day on February 5, 2018 by Kimberly. I can’t believe Christmas is only a week away! I wanted to share with you a very quick decoration that you can make before the big day gets here. 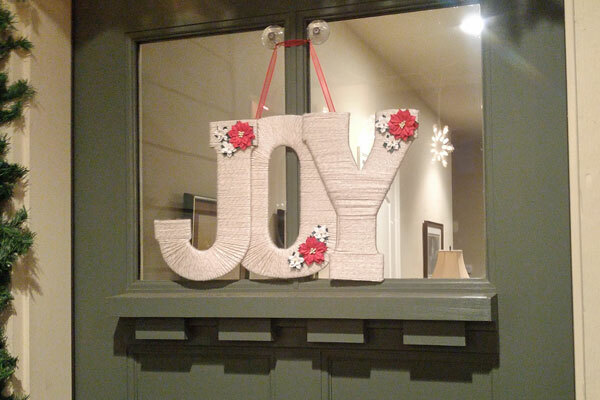 This entry was posted in Christmas, Crafts, Holidays & Seasons, Home Decor, Wall Art, Wreaths and tagged Chipboard, Chipboard Letters, Yarn, Yarn Crafts on December 17, 2017 by Kimberly.